Traditional classic design with modern elements. White painted shaker cabinets with stained grayish brown island. Marble look quartz countertops, large white farmhouse sink. 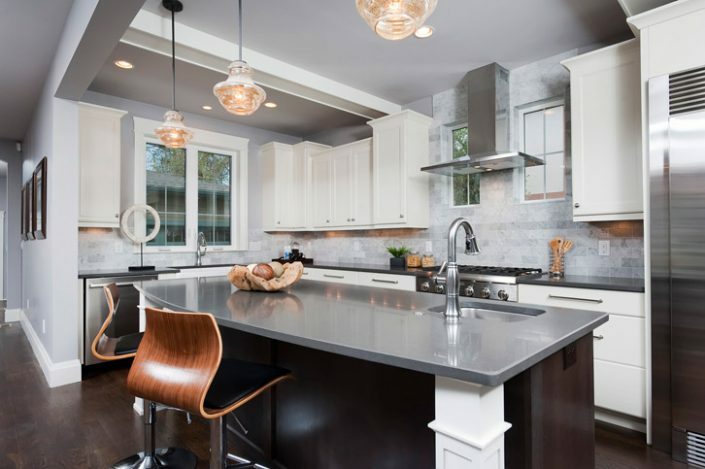 White and gray marble backsplash. 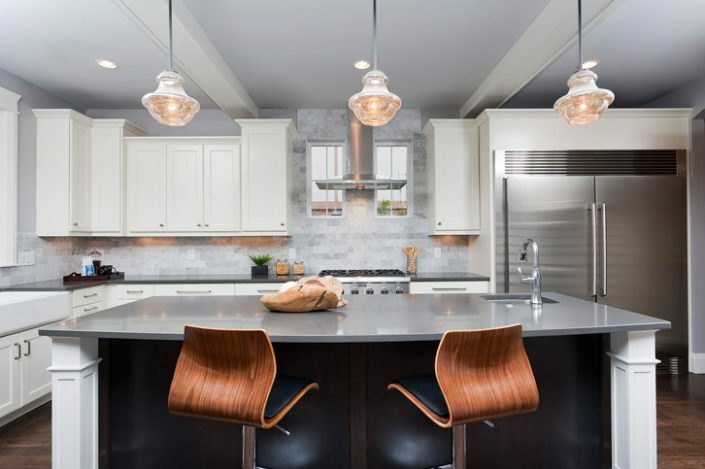 Mercury glass pendants have a retro look and add a soft luster to the design.